Administrative Law Judge Susan Ruff, Office of Administrative Hearings (OAH), State of California, heard this matter on September 16, 17, 18, 19, 23, 24, 25, 26, and 30, 2013, and October 1, 2013, in San Francisco, California. Michelle LeGate, Esq., represented Student and Student’s parents. Student’s parents were present during most of the hearing. Student was not present. 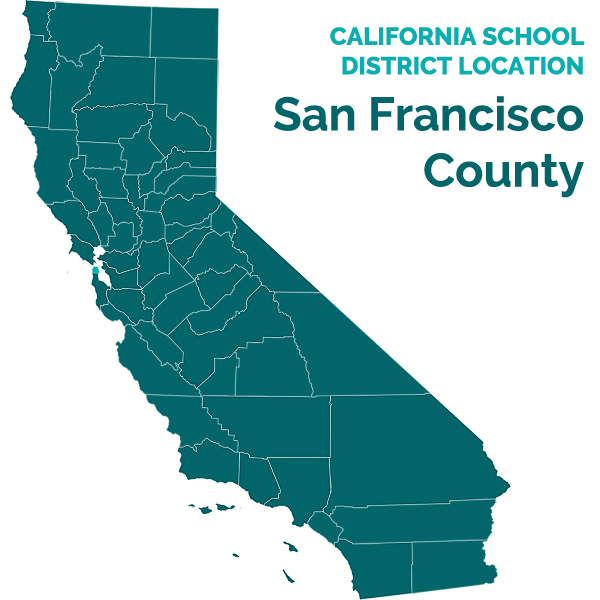 Elizabeth Rho-Ng, Esq., represented the San Francisco Unified School District (District), assisted by Jennifer Baldassari, Esq. The District was also represented, at various times, by Dr. Elizabeth Blanco, Assistant Superintendent, Damara Moore, Deputy General Counsel, Dr. Roderick Castro, Supervisor, Special Education Services Department, and Lisa Miller, Special Education Supervisor. 1 To maintain a clear record, Student’s written closing argument has been marked as exhibit S-60. The District’s written closing argument has been marked as exhibit D-65. 2 During the hearing, the parties stipulated to the: 1) appropriateness of the goals, as written, for the 2010-2011 school year in the area of speech and language; and 2) appropriateness of the District’s speech and language reevaluation in November 2011, as part of Student’s triennial review. 8) failing to implement Student’s IEP’s for the 2010-2011 and 2011-2012 school years? This case involves the time period from May 2011 through the District’s IEP offer made in May 2013. Student contends that the District did not appropriately assess Student, did not include proper present levels of performance or goals in Student’s IEP’s, failed to offer Student a proper placement, failed to offer appropriate behavioral supports and services, failed to implement parts of Student’s IEP’s, and failed to provide prior written notice. The District denies all these contentions. This Decision finds that the District failed to offer appropriate behavioral supports in the IEP offers made in March 2012 and January 2013, denying Student a FAPE. As a result of that denial of FAPE, Student’s parents were forced to place Student in a private school at their own expense. The District is ordered to reimburse Student’s parents for the private school tuition that they had paid as of the time of the due process hearing. 1. Student is an eleven-year-old boy who qualifies for special education and related services under the primary eligibility category of autism and a secondary eligibility category of speech and language impairment. He currently attends a private school at his parents’ expense. There is no dispute that Student’s parents reside within the jurisdiction of the District. 2. At the time of the events in question, Student’s greatest educational needs were in the area of behavior, particularly relating to his anxiety. Due to his disability, Student became anxious about transitions, substitute teachers, unexpected events that disrupted his schedule, and social issues such as other students not following rules. He was particularly sensitive to fire drills. At times, the anticipation of a fire drill could cause him more anxiety than the fire drill itself. Student exhibited less anxiety when he worked with trusted adults. Student’s primary areas of need in academics included reading comprehension, drawing inferences, and paragraph composition. He also had needs in the areas of speech/language and social pragmatics. 3. Due to the statute of limitations, the operative period of time for this case began on May 1, 2011. At that time, Student was finishing his third grade year at Alamo Elementary School (Alamo), a public school within the District. 4. The IEP in effect for Student as of May 2011 had been signed by Student’s parents on November 30, 2010, and an addendum had been signed on April 12, 2011, both prior to the applicable statute of limitations period. Under the terms of that IEP, Student was placed in a general education classroom, with special education services, supports, and accommodations. Those services and supports included, but were not limited to, consultation between the special education inclusion teacher and the general education classroom teacher, specialized academic instruction for 150 minutes per week, 240 minutes per month of speech and language therapy, and extended school year (ESY) services. 5. As of May 2011, Student’s general education teacher was David Philpot and his special education inclusion teacher was Kelly Mackins. Student received speech-language services from Elizabeth Lance, a District speech-language pathologist, and aide support from Kathleen (Kathy) Martin, a District para-educator.3 Ms. Lance, Ms. Mackins, and Kathy Martin had all begun working with Student at Alamo prior to the time period at issue in this case, and he was comfortable working with all of them. 3 To avoid confusion in this Decision between Ms. Mackins (the inclusion teacher) and Ms. Martin (the aide), Ms. Martin will be referred to as “Kathy Martin” herein. 6. Ms. Mackins holds a mild/moderate education specialist credential, a multiple subject credential, and an autism spectrum disorder authorization. She has worked as a special education inclusion teacher and/or resource specialist for the District since approximately 2009. 7. During May 2011 through the end of Student’s third grade year, Ms. Mackins worked part time (two days a week) at Alamo and part time at another District school. There had been a full-time special education teacher at Alamo in addition to Ms. Mackins earlier in the year, but that teacher left mid-year, and was replaced by substitute teachers, including a long-term substitute near the end of the school year. 8. Ms. Mackins was Student’s special education case manager during much of the time at issue in this case, and was an adult whom Student trusted. During Student’s third and fourth grade years, Ms. Mackins assisted Student with his social/anxiety issues. In particular, she worked with Student on a social thinking curriculum to assist Student with his anxiety. She met with Student on the two days that she was present at Alamo for approximately 30 minutes per session. At times she worked with him one-on-one and at times in a group setting. She was also available to assist Student when she was on campus if Student had anxiety issues. As will be discussed in more detail below, if Student had a bad day or needed to take a break, he could come to her room (the inclusion room) when she was on campus. 9. Student’s November 2010 IEP included goals in the areas of using a task checklist, reading comprehension, writing strategies, articulation, pragmatics/social language, receptive language/drawing inferences and conclusions, social skills (remaining calm when losing a game), social skills (participating in 10 minutes of interactive play with peers during recess), adaptive skills/self-regulation, and using coping strategies to lessen anxiety during unpredictable events. The IEP stated that Student did not require assistive technology (AT), and it did not include any occupational therapy (OT) services for Student. [Student] will have a reduced amount of work as needed to complete a task independently within a given timeframe, e.g. do every other problem on a worksheet. He will have a task checklist for each assignment. The goal is for [Student] to complete his task independently checking off each item as he goes along. The final item on the checklist will lead [Student] to his next activity, e.g. choose a book from the class library and read. 12. According to the BSP, the following things were hypothesized to lead to anxiety: Changes in his routine and unpredictable occurrences can upset [Student] and cause anxiety, e.g. fire drill, earthquake drill, lockdown drill. Loud noises and crowded school assemblies can cause [Student] anxiety. Not winning a game or team sport, things viewed as “not fair,” can cause [Student] anxiety. 14. The BSP was intended, in part, to address Student’s tendency to leave the classroom when he was anxious. At times during an anxiety event, Student would seek to hide himself away from others. He did not like to be seen by his fellow students during these anxiety events, so he would sometimes leave the classroom. The BSP permitted Student to take a break in the general education classroom library or outside the classroom in the special education inclusion room. 15. There were two special education inclusion rooms at Alamo during the times at issue in this case – rooms 210 and 216. They were the rooms used by the special education inclusion teachers. During the end of Student’s third grade year, Ms. Mackins used room 216 as her inclusion room. The person who responded to and managed the anxiety event – case manager, RSP/Inc. teacher, or general ed teacher – will briefly fill out the summary template of the event and group email it to [Student’s] email group (which includes inclusion teachers, para, the parents, gen ed teacher and principal). Data will be collected using completed templates. 17. The template referred to in the BSP was drafted by Student’s parents. It contained a series of questions that Student’s parents wished to have answered whenever an anxiety event occurred. Student’s mother believed the template was an important part of the communication between Student’s parents and the District. She also thought it would be a good way to collect data regarding Student’s behaviors. 19. The BSP also provided that Student would not have recess or physical education (PE) time taken away as a consequence of his own behavior or group behavior, unless he chose to have that happen. According to the BSP, Student needed that recess and PE time to self-regulate. 20. Toward the end of Student’s third grade year, there were changes in the District staff working with Student and multiple substitute teachers. As mentioned above, the full-time special education inclusion teacher left and was replaced by substitute teachers. In addition, Student’s general education teacher Mr. Philpot had surgery and required one or more substitute teachers. 21. These changes in staffing caused great anxiety for Student. When Student grew anxious, he liked to hide in small, enclosed places. For example, in his third grade classroom, he liked to hide in the closet where the backpacks were kept. In addition, as stated in Factual Finding 14 above, he would sometimes run out of the classroom and seek out small, enclosed places to hide. Student’s mother and Ms. Mackins set up a “safe place” in Ms. Mackins’ inclusion classroom (Room 216) for Student to use so he would not run into unsafe places on campus and so they would know where to find him when he left class. 22. The “safe place” they developed was located beneath a small computer table. Student’s mother brought in curtains and a rug for the safe place. During third grade, Student frequently used the safe place. That specific “safe place” location (under the computer table) was never written into an IEP, nor did any IEP require the safe place to have a rug and curtains. 23. The parties dispute whether Student was making progress by the end of his third grade year. Mr. Philpot testified that Student gained educational benefit in his class in third grade. As discussed below, the academic assessment conducted by the District in November 2011, showed that Student was at average or above average level in most areas. Ms. Mackins testified that the test scores accurately reflected Student’s performance. 24. The progress report prepared by Ms. Mackins in May 2011 indicated that Student had met his goals related to using a task checklist and using a graphic organizer for writing and had made progress on his remaining goals, with one exception. With respect to the social skills goal regarding 10 minutes of interactive play with peers during recess, Student did not want to take part in this activity. Ms. Mackins believed that it would be a good goal for him, but she also knew that Student’s parents were concerned about Student missing recess because he needed that time for self-regulation. After discussions about the goal, she decided it would be better to follow Student’s parents’ wishes in this regard, so she did not work on this goal. Therefore, he made no progress on that goal during third grade. 25. Student’s expert witness Diane Provo testified that the goals in the November 2010 IEP were not measurable. However, as will be discussed in the Legal Conclusions below, the November 2010 IEP was drafted prior to the statute of limitations period, so any deficiencies in the drafting of that IEP are not the issue in the instant case. In addition, Student contended that the May 2011 progress report showed that Student had not met most of his goals. However, his annual goals were intended to be met by November 2011, not May. The evidence did not show that Student failed to gain educational benefit during his third grade year. 26. Student contends that the District did not implement Student’s IEP during his third grade year because Student’s report card grades were modified. To support this contention, Student’s written closing argument relies upon Mr. Philpot’s testimony. Student claims that Mr. Philpot testified that he used a different standard in grading Student than he did for typical children. However, Student misinterpreted Mr. Philpot’s testimony. 27. In his testimony, Mr. Philpot indicated that, in most ways, Student was graded the same as other pupils. With respect to writing, Mr. Philpot testified that he graded Student based on a reduced workload in light of Student’s IEP goals. He explained that an inclusion child might not have to complete as much work as other pupils or complete all the aspects of an assignment. In social studies, Mr. Philpot allowed Student to demonstrate progress orally rather than in writing. As stated above in Factual Finding 10, Student’s IEP contemplated that Student would have a reduced workload. Had Mr. Philpot insisted that Student complete all work in order to receive a grade, he might have been in violation of the IEP. Likewise, Mr. Philpot did not fail to implement the IEP simply because he graded Student based on Student’s understanding of a subject, such as social studies, rather than penalizing him for his problems with writing. 28. The evidence does not support Student’s contentions that the District failed to implement Student’s IEP during his third grade year (the 2010-2011 school year). Instead, the evidence showed that the District implemented the IEP and Student gained meaningful educational benefit during that school year. 29. At the start of Student’s fourth grade year, he continued in the District’s inclusion program. His November 2010 IEP was still operative at that time. He was placed in a fourth grade general education classroom taught by Lisa Bohorquez, a general education teacher. He continued to receive special education support from Ms. Mackins and aide support from Kathy Martin. Ms. Mackins continued to meet with Student twice a week to work on the social thinking curriculum that had begun in the third grade. Ms. Mackins was on the Alamo campus two days a week, and she met with Student for 30 minutes either individually or in a small group setting on each of those days. Kathy Martin testified that she continued to provide Student with 30 minutes per day of assistance in the classroom. 30. George Keller was the new full-time inclusion teacher at Alamo at the start of Student’s fourth grade year. Technically, Mr. Keller was the special education teacher responsible for Student’s IEP on days when Ms. Mackins was not at Alamo. However, as a practical matter, prior to the March 2012 IEP, Mr. Keller did not provide special education to Student. Mr. Keller had a separate caseload of pupils for whom he provided services. Student was not included among those pupils. 31. Student’s behavior improved markedly during the first semester of his fourth grade year. He had fewer anxiety incidents in which he needed to leave the class and he began to work through his anxiety using the strategies he had been taught through his BSP. At the beginning of the school year, Ms. Mackins moved her inclusion room to 210, and Mr. Keller took room 216. That meant that Student’s “safe place” beneath the computer desk was now in Mr. Keller’s inclusion room. 32. In September through November 2011, the District staff conducted a triennial assessment of Student in preparation for his November 2011 IEP meeting. School psychologist Amy Gilliam conducted the assessment on behalf of the District and administered cognitive testing. As part of the assessment, Ms. Gilliam reviewed records, interviewed Student and Student’s teacher, observed Student in the classroom, and administered rating scales and other testing. 33. Ms. Gilliam is a credentialed school psychologist and a certified behavior intervention case manager (BICM). She holds a master’s degree in psychology and Pupil Personnel Services (PPS) credentials in school counseling and school psychology. She has worked for the District as a school psychologist since 2007 and conducts about 60 triennial assessments per year. She had previously assessed Student for his triennial assessment in 2008. 34. At the time of the assessment, District policy did not permit formal IQ testing of pupils, so Ms. Gilliam used the Differential Abilities Scales – Second Edition (DAS) to help examine Student’s cognitive abilities and potential. Student scored in the average range on the verbal cluster of that test, in the above-average range on the nonverbal reasoning cluster, and in the above-average range on the spatial cluster. His general composite ability score for the entire test came out above-average. 35. In Ms. Gilliam’s opinion, her cognitive testing of Student was valid and she did not need to do any further testing to determine Student’s cognitive functioning. She did not believe it was necessary to administer a standard IQ test to Student to measure his cognitive abilities. 36. Ms. Mackins conducted the academic achievement portion of the assessment. To assess Student’s achievement, she administered the Woodcock-Johnson III Tests of Achievement (WJ-III). Student scored in the average or above average range in every one of the categories tested, except the math fluency subtest. Despite Student’s good test results, Ms. Mackins knew, based on her years of teaching Student, that Student continued to have needs in the areas of reading comprehension and paragraph writing, in addition to his other areas of need. 37. To examine Student’s social and emotional functioning, Ms. Gilliam administered the Behavior Assessment Scale for Children – Second Edition (BASC-2). The BASC-2 consisted of a questionnaire filled out by Student’s parents and Student’s general education teacher Ms. Bohorquez. The answers provided by Student’s parents indicated that Student was at risk in areas such as anxiety, atypicality, withdrawal, attention, adaptability, leadership, and activities of daily living. Ms. Bohorquez’s responses indicated clinically significant problems in the area of withdrawal and that Student was at risk in several areas, including but not limited to, anxiety, attention, school problems, and learning problems. Ms. Gilliam did not administer the BASC-2 to Ms. Mackins or any of Student’s teachers from third grade. 38. Ms. Gilliam also administered the Gilliam Autism Rating Scale (GARS) to see if Student still exhibited behaviors within the autism spectrum. The answers by Student’s parents placed Student in the category of “possibly” having autism. The answers given by Ms. Bohorquez indicated that it was unlikely Student had autism. 39. Ms. Gilliam chose the GARS and the BASC-2 because she had previously used those tests in the 2008 assessment. She felt that repeating those tests would enable her to examine qualitative data over time regarding Student to see if there was improvement. In her opinion, she saw improvement by Student in 2011 compared to 2008. 4 The parties stipulated that Student was not challenging the speech and language assessment, so there is no need to discuss that assessment in detail. 5 During the hearing, Student’s counsel explained that Student was not challenging the technical, statutory aspects of the District’s triennial assessment. For example, there was no contention that the District failed to use proper individuals to conduct the tests or that the tests given were invalid. Therefore, no findings are made herein regarding those statutory requirements. To the extent that evidence was received in these areas, the evidence confirmed that the test instruments were valid for the purposes for which they were used and were properly administered. 43. In Student’s written closing argument, Student contended that the District assessment was not thorough and did not assess Student in all areas of need.5 Student raised three main challenges to the assessment: 1) the thoroughness of Ms. Gilliam’s cognitive and behavioral testing; 2) the thoroughness of Ms. Mackins’ academic testing; and 3) the failure of the District to include an OT and AT assessment as part of its triennial assessment. 44. With respect to Ms. Gilliam’s portion of the assessment, Student contends that the assessment was inadequate because Ms. Gilliam failed to administer rating scales or questionnaires to Ms. Mackins or Student’s third grade teachers and failed to interview Student’s parents. Student’s written closing argument also criticized Ms. Gilliam’s report because Ms. Gilliam only observed Student for approximately 20 to 30 minutes in the general education classroom. Student contends that she should have conducted a lengthier observation across settings. 45. However, the evidence does not support Student’s contentions regarding the assessment. As will be discussed in the Legal Conclusions below, a triennial assessment is used to review a pupil’s eligibility for special education, help determine his educational needs, and provide guidance to the IEP team on appropriate programs and services for the pupil. The District’s triennial assessment was sufficient for these purposes. Student’s unique needs in the areas of reading comprehension/inferences, writing and composition, social skills, anxiety and speech-language were well known to the IEP team and were supported by the totality of the assessment. The November 2011 IEP contained goals, services and accommodations to address those areas of need. 46. Ms. Gilliam testified that her observation and testing were sufficient, and her assessment was valid. She believed that her assessment was sufficient to enable her to determine Student’s social-emotional and adaptive needs, and no further testing was necessary. She saw nothing during her assessment to make her believe that further testing in the area of executive functioning or adaptive behavior was necessary. In her opinion, there was no need for additional observations, testing, or interviews. Ms. Gilliam obtained input from Student’s parents through the GARS and BASC-2. 47. Lisa Miller, a District supervisor with many years of experience as a school psychologist and supervising school psychologists, agreed that Ms. Gilliam’s assessment was sufficient. She explained that an assessment report does not exist in isolation – the IEP team’s dialogue is also important to determine what supports should be put in place. In her opinion, it was appropriate for Ms. Gilliam to administer the BASC-2 to Student’s general education classroom teacher and not the special education teacher, because the general education classroom was his placement at the time. 48. Student’s challenge to the academic portion of the District’s triennial assessment is based, in part, upon the testimony of Melanie Johnson, Ph.D., the psychologist who conducted an independent educational evaluation (IEE) of Student. 49. Dr. Johnson is a neuropsychologist who received her Ph.D. in clinical psychology in approximately 1998. She has been in private practice conducting neuropsychological and developmental assessments of children, adolescents and young adults since 2003, has provided consultation to school districts and non-profit agencies, and has conducted IEE’s on behalf of school districts in the San Francisco Bay area. 50. Dr. Johnson’s assessment was completed in the fall of 2012, almost a year after Ms. Gilliam’s assessment, and is discussed in more detail in Factual Findings 161 – 164 below. Dr. Johnson did not administer the WJ-III to Student. Instead, she assessed Student’s academic skills using the Wechsler Individual Achievement Tests (WIAT). During her testimony, she explained that the essay composition portion of the WIAT required more complex writing skills than the WJ-III did. The writing portion of the WJ-III focused more on sentence completion than paragraph composition. While Student scored well on the writing portion of the WJ-III in Ms. Mackins’ assessment, Student did poorly on the writing portion of the WIAT in Dr. Johnson’s assessment. Based on the testimony of Dr. Johnson, Student contends that Ms. Mackins’ testing did not accurately measure Student’s academic levels because she did not perform any academic testing in addition to the WJ-III. 51. Dr. Johnson was a credible witness and was well qualified as an expert, but her opinions regarding the WIAT and WJ-III do not invalidate the District’s triennial assessment. The WJ-III was a normed, standardized test and Student’s scores on that test were valid. Ms. Mackins was well aware of Student’s areas of weakness based on her long-standing work with Student, and did not rely solely on the WJ-III results in forming her opinion. It was not necessary for her to do additional academic testing to advise the IEP team regarding Student’s needs – his needs in these areas were well known. 52. The evidence showed that, in general, Dr. Johnson’s IEE actually supported the findings of the District’s assessment. During her testimony, Ms. Gilliam explained that the IEE did not identify any new areas of need for Student, and nothing in the IEE changed any of Ms. Gilliam’s findings in District’s triennial assessment. In Ms. Gilliam’s opinion, most of Dr. Johnson’s recommended accommodations were very similar to those the District proposed. To the extent that there were differences between the IEE and the District’s assessment, Ms. Gilliam questioned Dr. Johnson’s assessment because Dr. Johnson did not conduct the BASC-2, did not observe Student at Alamo, and did not speak with any of the teachers at Alamo. Ms. Miller expressed similar opinions regarding Dr. Johnson’s report. 53. The opinions of the District experts on this issue are persuasive. Dr. Johnson’s findings were very similar to those made in the District’s assessment. Both reports found the same areas of weakness and educational needs. Those same educational needs and areas of weakness were also noted later when Student was at the private school. 54. Student also contends that the academic portion of the assessment was invalid because Ms. Bohorquez did not inform the IEP team in November 2011 that Student was only completing 25 to 50 percent of his work in the general education class. The parties’ dispute over Student’s workload will be addressed in more detail below. However, even if Student’s contention regarding workload was correct, it did not invalidate the triennial assessment. The WJ-III was a standardized, normed test that compared Student academically to typically developing peers. There was no evidence that the test was modified when given to Student. His academic scores on that test were valid and were mostly in the average range. Even if he did not complete all work in class, the assessment results were valid. 55. The third ground on which Student challenges the triennial assessment involves the areas of OT and AT. Student contends that the District should have conducted OT and AT assessments at the time of the triennial assessment in November 2011. As discussed below, the District later conducted OT and AT assessments in January 2013. 56. In support of Student’s position, Student relies on evidence that the District was aware of sensory and fine motor needs for Student that might have warranted an OT assessment. As stated above in Factual Finding 40, Ms. Bohorquez’s teacher questionnaire noted areas of concern in focus and fine motor. She mentioned Student’s anxiety and her need to reduce his work to prevent overload. In Dr. Johnson’s assessment, conducted a year later, she discussed Student’s struggles with fine motor coordination (in handwriting), attention, task completion, anxiety, and sensory regulation. 57. However, the more persuasive evidence indicates that the District did not have sufficient information to necessitate an OT assessment as of November 2011. Student had previously been assessed for OT during preschool by the District and the assessor found no need for OT services. Ms. Bohorquez testified that she spoke with Ms. Mackins about her concerns with Student’s writing/fine motor skills, and they determined that Student did not need an OT evaluation. As of the November 2011 IEP, Student was making good progress at addressing his anxiety and his feelings of being overloaded, and Ms. Bohorquez was implementing general education supports and services available to help Student with his focus. No one on the IEP team raised a need for an OT assessment at that time. 58. Student’s educational expert Ms. Provo believed that additional sensory supports were necessary for Student. Her opinion was based, at least in part, on an observation she made at Alamo during Student’s fourth grade year. During her observation, Student was out of class due to anxiety about a fire drill. Ms. Provo felt that additional sensory supports might have enabled Student to return to class more quickly on that day. Ms. Provo received her master’s degree in education in 1977 and has worked for many years as a teacher and later as a private educational consultant. However, she is not an occupational therapist, and she did not observe Student at Alamo on any other days. Her opinion was not persuasive to show that the District should have conducted an OT assessment in November 2011. 59. Dr. Johnson opined that Student needed OT services as part of a complete education program and she thought an OT assessment would be helpful for Student. However, Dr. Johnson’s IEE was not completed until long after the District’s triennial assessment, and was completed after Student had ceased attending a District school, so Dr. Johnson had no personal knowledge of Student’s time at Alamo. The District’s expert Maeve Mulholland testified that, prior to reading Dr. Johnson’s report, the District staff did not have reason to believe an OT assessment was necessary. 60. As will be discussed in more detail below, Student’s parents eventually requested an OT evaluation and the District conducted one. Theresa Tong, the occupational therapist who conducted the OT assessment on behalf of the District in January 2013, did not testify to anything that would have indicated a need to conduct an OT assessment over a year earlier. 61. The evidence did not show that the District had reason to believe an OT assessment was necessary as of November 2011. Student was gaining educational benefit, both academically and behaviorally at that time, without any need for OT services. 62. Student also contends that there was evidence as of November 2011 that should have led the District to conduct an AT assessment. Student relies upon a letter written by Student’s parents to the District staff prior to November 2011 regarding Student’s summer vacation. In the letter, Student’s parents mentioned Student’s enjoyment at learning to keyboard and their desire to have him continue keyboarding during the school year. Student contends that the letter put the District on notice that it should have conducted an AT assessment at the time of the triennial assessment. 63. However, the more persuasive evidence indicates that there was no need for an AT assessment as of November 2011. Despite their letter, Student’s parents never made a written request for an AT assessment either before or during the November 2011 IEP meeting. Ms. Bohorquez testified that she spoke with Student’s parents near the beginning of the year, and they indicated that Student’s keyboarding skills were not good. No one on the IEP team mentioned a need for an AT assessment at that time. 64. Even when the District conducted an AT assessment much later in January 2013, the District’s assessor Tammy Thompson-Cooke determined that Student did not need specialized equipment to support him beyond what any highly qualified District teacher could provide. While she felt that Student could benefit from use of technology, such as an iPad, whether he needed one in class would depend on the teacher and the program the class was using. 65. Finally, Student contends that the assessment was invalid because Student’s parents did not have sufficient time during the November 2011 meeting to discuss the District’s assessment and their concerns with the failure of the assessment to include OT, AT, and adaptive functioning. However, the evidence showed that Student’s parents were strong advocates for their child, who were deeply involved with his education. They were in constant contact with the District staff through email and other means regarding Student’s needs. Even if the discussion of Ms. Gilliam’s assessment during the November 2011 IEP meeting was short, it did not prevent the IEP team from having input from Student’s parents. Student’s parents had already provided information during the assessment process when they filled out the BASC-2 and GARS rating scales. 66. The evidence indicated that the District’s November 2011 triennial assessment was thorough, comprehensive, valid, conducted by the proper personnel, and sufficient to help the IEP team determine Student’s needs at the time. There was no denial of FAPE. 68. The IEP placed Student in the general education classroom with supplemental services, aids, and supports. The supports and services included consultation between the inclusion teacher and the general education classroom teacher, specialized academic instruction for 60 minutes per week by the special education teacher, speech and language therapy for 240 minutes per month, and extended school year services in the summer. The accommodations included, but were not limited to, having “a reduced amount of work as needed to complete a task independently within a given timeframe,” a weekly personal calendar with a schedule, social stories, visual aids, and a task checklist. The IEP noted that Student did not need academic support in or out of the classroom, so the specialized academic instruction provided by the special-education inclusion teacher focused on behavior. Ms. Mackins continued to work with Student on a social thinking curriculum. Likewise, Kathy Martin assisted Student with his anxiety and other behavioral needs. Parents are informed if there is a special event or change in routine – including a change in services and/or support, so that they may discuss it with [Student] in advance. 70. During the hearing, Student’s father explained how important it was for Student’s parents to be informed regarding Student’s anxiety and behaviors at school. He said that when there was a clear line of communication regarding Student, Student’s parents could work with Student to scaffold him regarding events to come. If Student’s parents knew about things ahead of time, they could prepare Student for changes in routine. Changes in his routine and unpredictable occurrences can upset [Student] and cause anxiety, e.g. fire drill, earthquake drill, lockdown drill. Loud noises and crowded school assemblies can cause [Student] anxiety. Not winning a game or team sport, things viewed as “not fair,” can cause [Student] anxiety. Anticipation of these events happening can also be very anxiety producing for [Student]. [Student] will self-regulate and calm himself. Strategies for [Student] include deep breathing, the 5-point scale for rating emotions, self-talk, social stories, and asking for or accepting a break – in the classroom library or in the inclusion room. If [Student] needs to “bolt” from a situation he will tell the teacher or other adult in charge where he is going, e.g. room 210 or if in the school yard, „boy’s bathroom.‟ This is one of [Student’s] goals. 74. The BSP called for Student to be able to take a break in the inclusion room (room 210/216) or the classroom library, but did not specifically mention a “safe place” in either of the inclusion rooms. 75. Student’s parents signed their consent to the implementation of the IEP on November 18, 2011. 76. Student contends that the November 2011 IEP did not provide Student with a FAPE because the IEP did not document Student’s present levels of performance or contain measurable annual goals to address Student’s unique needs. 77. With respect to the present levels of performance, Ms. Mackins testified that she derived the academic present levels from personal observation and discussions with the classroom teacher, Student’s parents, and Kathy Martin. She identified the places in the IEP which contained the present levels for academics, speech/language, social/emotional development, and adaptive skills. 78. A review of November 2011 IEP supports Ms. Mackins’ testimony. The IEP contained adequate present levels of performance for Student. The academic achievement present levels of performance specifically refer to the WJ-III results. The speech and language present levels of performance are almost a full page long. The social/emotional, and adaptive skills present levels of performance are shorter, but accurately provide a picture of Student’s functioning at that time. The meeting notes also provide additional information regarding Student’s present levels of performance at the time of the meeting. In Student’s written closing argument, Student does not contest Ms. Mackins’ testimony, but instead focuses on the lack of specific baselines for each goal. However, as will be discussed below, the goals were measurable and adequate. There was no denial of FAPE regarding the present levels of performance. 79. With respect to the goals, Student raises three objections to the November 2011 IEP. First, Student alleges that, because the triennial assessment was insufficient, the District was unable to draft appropriate goals in all areas of need. However, as stated above in Factual Findings 29 – 66, the District’s assessment was appropriate and complete. It provided sufficient information for the IEP team to draft appropriate goals and objectives. Ms. Mackins testified regarding the information she used when preparing the initial draft goals, including the WJ-III, teacher input and parent input. She did not believe any additional information or assessment was necessary to draft the goals. Student’s parents agreed to the November 2011 IEP, including the goals contained within that IEP. 80. Second, Student contends that the goals were not measurable. In particular, Student argues that the goals do not contain adequate baselines from which to measure progress. 81. At the time of the November 2011 IEP, the District was using a particular type of computer software to generate IEP documents. The IEP documents generated by that software were a bit confusing, particularly with respect to goals and percentages. In particular, the software would place a percentage number to the left of each goal and objective, but there was conflicting testimony by District witnesses as to whether this number represented the baseline (the percentage at which Student could complete the activity at the time the goal began in November 2011), the final percentage at which Student would be expected to complete the activity a year later, the percentage for each objective that Student would be expected to meet during the year, or an average of one or more of those numbers. 82. If those numbers constituted the only baseline for the goals, Student’s position would be correct. The goals would be confusing and it would be difficult to measure progress. 83. However, during the hearing, Ms. Mackins explained that the baselines are contained within the text of each goal. Ms. Mackins also testified as to how the progress on the goals was measured and how she determined whether a goal had been met. A review of each goal confirms her testimony. For example, Student’s first goal regarding literary response and analysis stated that Student, when reading grade level text, would use knowledge of the situation and setting and of a character’s traits and motivations to determine the causes for the characters actions, going from 25 percent to 90 percent by November 6, 2012. 84. While the goals could have been more clearly drafted, the testimony of Ms. Mackins is persuasive to show that the goals were sufficient to enable the IEP team to determine whether Student was making progress. There was no denial of FAPE. 85. Student’s third objection to the goals is that many of the goals from the 2010 IEP were unchanged in the November 2011 IEP. During her testimony, Student’s expert Ms. Provo expressed a concern about Student’s goals being repeated from year to year. 86. The November 2011 IEP contained goals in the areas of literary response and analysis, writing strategies (creating multi-paragraph compositions), speech and language (semantics/syntax, articulation, pragmatics/social language), receptive language (drawing inferences/conclusions and understanding idioms), social skills (remaining calm while losing a game and refraining from admonishing the rule-breaking or “bad” behavior of peers), and adaptive skills (using self-regulation and calming strategies, using coping strategies, and informing an adult where he is going before leaving when having an anxiety event). 87. A comparison of the two IEP’s shows that the academic goals were not repeated. To the extent that they may have involved the same general subject areas, the November 2011 goals were more advanced. For example, the November 2010 IEP called for Student to write a paragraph. The November 2011 IEP called for Student to compose a multi-paragraph document. Likewise, the November 2011 goals related to reading comprehension addressed grade level text and had a more advanced focus than the November 2010 goals. 6 As described in Factual Finding 24 above, Student did not make progress on the facilitated play goal, but that was because Ms. Mackins stopped working on that goal after discussion with Student’s mother. 89. Student is also correct that the speech and language goals were virtually identical from the November 2010 IEP to the November 2011 IEP. Ms. Lance, the speech-language pathologist who provided services to Student on behalf of the District, testified at hearing about these goals. She explained that Student had made progress on those goals, but she believed it was appropriate to continue the goals in the 2011 IEP. For example, she explained that, even though Student made excellent progress on his articulation goal, it was important to continue the goal to help Student develop self-awareness and self-modeling in that area of speech. Ms. Lance worked closely with Student’s mother with respect to the goals, Student’s progress, and the speech-language services Student received. 90. Student did not call a speech-language pathologist to dispute Ms. Lance’s testimony. Absent expert testimony to the contrary, the mere fact that the speech-language goals were continued from one IEP to the next does not make them improper. 91. During the fall of 2011, there were five incidents noted by the District involving Student’s behaviors. During some of these incidents Student exhibited anxiety, but during others he remained calm. 92. One of these occurred in mid-November. There was a presentation regarding a dog that made Student uncomfortable, and he asked to leave class. Kathy Martin was unavailable, so Student went to the inclusion room where Mr. Keller was instructing a special education reading group. Mr. Keller asked Student if he wanted to join the reading group, but Student declined. Student ended up playing a game by himself. At the end of the time, Mr. Keller gave him a toy as a reward for good behavior and Student returned to class. 93. Student’s parents were concerned that Student was not provided instruction while he was in Mr. Keller’s room during the time of the dog presentation. Student’s mother met informally with Mr. Keller to discuss her concerns. The conversation became heated. In the weeks and months that followed this conversation, the relationship between Student’s parents and the District staff declined. 94. At some point after this time, Mr. Keller began to dismantle Student’s “safe place” that Student’s mother and Ms. Mackins had previously created in the inclusion room. Mr. Keller’s testimony was somewhat inconsistent during the hearing about when and how this occurred. At one point he testified that he “moved” the safe place in February 2012 (during the second semester) to a spot beneath his desk. This testimony implied that the safe place continued to exist in its original location until he moved it in February 2012. 95. However, later during his testimony, he stated that, although he could not specifically remember when he dismantled the safe place, he thought he had gradually started to take it apart prior to the time it was “moved.” The remainder of the evidence supported the latter version of events. For example, during an anxiety event on January 9, 2012, Student sat on a chair outside room 216. If his safe place still existed at that time, why did he sit outside the room instead of going inside to his safe place? 96. The reasons given for why the safe place was dismantled were also somewhat inconsistent. During the March 2012 IEP, the District told Student’s parents that the safe place had been moved because Mr. Keller was concerned about the wires hanging down behind the desk. Mr. Keller also testified to this during the hearing. However, he never explained why the wires could not simply have been moved. Ms. Mulholland, when asked during the hearing why the wires could not have been moved, testified that the District had not thought of that. 97. The other rationales that Mr. Keller stated during the hearing provided a more likely explanation for why the safe place was dismantled. He testified that he did not know the particular location (beneath the computer desk with the rugs and curtain) was critical for Student, and he did not see Student use the safe place during the first semester of school. He said the pupils in his class needed to use the computer table, and the rug beneath it was getting dirty. He felt that the wires hanging down behind the computer would be an attractive nuisance for another pupil who would climb under the desk. 98. Mr. Keller never contacted Student’s parents about any concerns regarding wires in the safe place and never told them that he had moved or dismantled the safe place. He testified that school staff typically do not report to parents every move they make unless something significant happens as a result of that change. He testified that he told the para-educators and the teacher that he had disassembled it. However, both Kathy Martin and Ms. Mackins denied they discussed it with Mr. Keller. Student’s mother first learned about the loss of the safe place in February 2012, when Student was unable to access the safe place during an anxiety event and hid in the corner next to an elevator door instead. 99. After the return from winter break, Student’s anxiety events began to escalate. Ms. Mackins believed that the escalation in anxiety events was caused, in part, because of changes in Student’s routine. In her opinion, the loss of his safe place in room 216 also contributed to the rise in anxiety events. Ms. Bohorquez testified that the rise in Student’s anxiety events coincided with the deteriorating relationship between Student’s parents and the District, though she was careful to add that she was not saying the deterioration of the relationship caused Student’s increased anxiety. No other District witness was able to provide an explanation for the sharp escalation of Student’s anxiety events during the second semester of his fourth grade year. When asked whether he noticed an escalation of Student’s anxiety behaviors after the safe place changed, Mr. Keller testified that it also coincided with other incidents. He said that most of the events he was aware of involved Student not wanting to come to school and not wanting to go home. On January 9, 2012, there was a substitute teacher for art. Student had heard from others that the substitute teacher was mean, so he went to room 216 and sat in a chair outside the door saying that he did not want to go to class. Kathy Martin was called and took Student to room 210 where he worked on an alternative art assignment. On January 12, 2012, Student became anxious when he saw a substitute teacher in the morning in place of his usual classroom teacher. He refused to join his class in the morning. His mother took him to room 210 where Kathy Martin helped him to transition into class later that morning. On January 27, 2012, the school held an event called Twin Day which was very disturbing for Student. His anxiety over the event began the previous day and he was unable to join his class at the start of the day. He blocked himself under a desk in room 210 and was crying and panicked. Student’s mother ended up taking him home. On February 2, 2012, after spilling water on the floor of the boy’s bathroom and being told that another boy would report him, Student locked himself in a stall and was crying. On February 6, 2012, he did not want to join his classroom. On February 8, 2012, a microphone being used by another student created loud feedback and Student left the room. On February 9, 2012, an extra physical education event did not happen as promised, and Student ran out of class and hid in the corner of the elevator hall, next to the elevator door. Student’s mother testified that she asked Student why he had hidden next to the elevator instead of using his safe place. Student told her that his safe place was not there anymore. On February 14, 2012, Student became upset because a substitute did not give him a promised treat when he had to leave early. He was also upset because a movie was not shown as promised. In both instances he began crying and left class. On the first incident, he huddled next to the elevator door. On the second incident, he tried to run down the stairs. On February 15, 2012, a substitute teacher made a joke about nicknames in relation to the nickname that was used for Student. Once again Student ran to the elevator and huddled in the corner of the elevator door. On February 24, 2012, Student became upset because of a name chosen by the class for the dodgeball league. He was able to regulate himself and communicate with the boy who chose the winning name, but on February 28, 2012, he was still upset over the name so he either hit or shoved another pupil to get his attention to explain why the name was not good. 102. During the February 9, 2012 incident, Mr. Keller escorted Student from his hiding place beside the elevator door and took him back into his office. Student wanted to go to his safe place, but his safe place no longer existed. So Mr. Keller told Student he could hide under his desk and referred to it as a “fort.” Mr. Keller did not inform Student’s mother about this “fort” at the time. When Student’s mother later learned about it and asked Student about the “fort,” Student did not know what she was talking about. He told her that he would never call his safe place a fort. 103. The elevator that Student hid beside was in a small hall off the main corridor. It was a staff elevator that required a key to access. Student was on the second floor of the building at the time. Mr. Keller did not think Student was in any danger when he saw Student sitting in the elevator frame. He testified that Student was very compliant and followed his directions when he led him to the spot beneath the desk. Ms. Mackins testified that someone could have accessed the elevator from below and the door could have opened behind Student. She would not want Student hiding there. On March 1, 2012, when physical education ran over into the recess time, Student went to the boys’ bathroom, then ran to room 216 and went under a desk. On March 6, 2012, Student was upset about a new haircut and did not want his peers to see him. He was also anxious about an upcoming fire drill and did not want to go to class. Student did not go to school on the following two days (March 7 and 8, 2012) due to anxiety. On March 9, 2012, Student was worried about a fire drill and needed Ms. Mackins’ assistance. Student was not able to join his class that day and his mother picked him up early. 105. During this time, Student’s anxiety-related behavior also grew worse at home. He began wetting his bed often, a behavior he had not exhibited in a long time. Student’s mother explained that it was hard to get Student to go to school. Student told his mother that he wanted to plan an “escape route” to leave campus on his worst days. 106. At some point, in or around March 2012, Ms. Mackins accepted a full-time position at a different District school. Her last day at Alamo was around March 14, 2012. Prior to leaving, she collaborated with Ms. Lance on Student’s social thinking curriculum. Because Student worked better with trusted individuals, it was anticipated that Ms. Lance would take over the social thinking curriculum instruction for Student after Ms. Mackins left. Ms. Lance was familiar with the social thinking curriculum and was an adult whom Student trusted and felt comfortable working with. 107. On March 12, 2012, Student’s IEP team met again. The meeting was called at the request of Student’s parents because of concerns about the increase in his anxiety incidents. They were also concerned about what would happen when Ms. Mackins left. The meeting was not finished on March 12, so the IEP team met again on March 21, 2012. 7 Student did not raise any procedural challenges regarding the composition of the District’s IEP team or the conduct of the meetings, so the names of the individuals at the meetings will be discussed herein only as they relate to the issues raised in this case. 109. Ms. Mulholland testified as one of the District’s expert witnesses at the hearing. Prior to June 30, 2013, Ms. Mulholland was a Special Education Services Supervisor for the District. She holds an education specialist credential and an administrative services credential as well as a certificate in applied behavior analysis. In the past, she has worked as a public school teacher, as the owner and director of a non-public agency serving autistic children, and as a lecturer at the City College of San Francisco. 110. During the meeting, Student’s mother told the IEP team about her concerns for Student’s safety. She explained about Student’s threat to leave campus if his anxiety grew too great. Student’s parents asked to have the District assign a one-to-one para-professional to work with Student for safety reasons. They also asked to have Student’s “safe place” in the inclusion room reassembled. 111. During the meeting, Ms. Bohorquez discussed Student’s reduced workload. She said the team had previously agreed that Student would complete between 25 to 50 percent of his written work. She said she assessed his skills based on the quality of the work he completed, not the quantity. She also graded Student based on the group work that he did and the work she did with him one-to-one. The GE teacher discussed that the report card is multi-faceted. She has been evaluating [Student] based on the 25-50% of the required written work that he completes. The general education teacher’s understanding is that this is what was agreed to by the IEP team at the beginning of the year. The report card was based on a comprehensive consideration of [Student’s] performance. The informal assessment does not reflect this. The general education teacher feels that [Student] has progressed this year, although she would like to see him complete more work. 113. Student’s parents were surprised and concerned by this news that Student was only completing 25 to 50 percent of his classwork. They felt very strongly that Student should be completing the same work as all the other general education pupils. Until Ms. Bohorquez’s comment, they did not realize that he was being graded on a reduced workload that was different than his typically developing peers. Student denies there was ever an agreement at the November 2011 IEP that Student would only complete 25 to 50 percent of his written work. 114. During the hearing, Ms. Bohorquez explained that Student’s workload was reduced to lessen his anxiety. Given his problems with focus, she believed he would need additional para-educator academic support in class in order to complete 100 percent of his work. In her experience, Student could complete some assignments by himself, but the ones with the heavier writing load required more assistance. 116. The District IEP team members disagreed with the need for a one-to-one aide for safety or behavioral reasons. They did not believe Student’s behaviors were serious enough to necessitate one-to-one behavioral support. The District IEP team members believed that Student’s safe place should be established within this general education classroom, not outside the classroom. 117. The District’s March 2012 IEP offer consisted of the following: 1) placement in the general education classroom; 2) weekly consultation between the special education inclusion teacher in the general education classroom teacher; 3) specialized academic instruction for 420 minutes per week, consisting of designated adult support in the classroom;8/ 4) speech and language services in the amount of 240 minutes per month in a separate classroom; 5) extended school year services; and 6) numerous classroom accommodations including, but not limited to, use of visual aids, a task checklist, a weekly personal calendar with a schedule, and the use of social stories. 8 There were typographical errors in the IEP document regarding the amount of time that the para-educator would be working with Student. However, the meeting notes clarified how much para-educator time would be dedicated to each task on a given day of the week, leading to a total of 420 minutes per week. Student to use one of the safe places within the classroom. They suggested a minimum of 10 opportunities for Student to practice the modified goal during times when he was calm and suggested a list of school staff available to support Student in the classroom when he needed a break. The District also proposed modifications to the BSP to incorporate the new classroom safe places. 120. To meet the concern that Student might leave school, the District proposed a safety plan to be implemented if Student went missing. According to the meeting notes: “[t]he office will ask school staff over school intercom system to look for [Student] and if he is not spotted within 5 minutes the police will be called.” The District also proposed to conduct a functional behavior assessment to identify the specific antecedents of Student’s behavior. Goals and services would be modified as appropriate when the IEP team met to review the results of that assessment. The District also proposed consultation from the elementary autism resource team for two hours over the next four weeks to assist in the implementation of the modified goal. 122. Student’s parents did not agree with the proposed IEP. They requested that the District fund an independent educational evaluation (IEE). On March 21, 2012, the District sent a letter to Student’s parents agreeing to fund the IEE. Included with the letter, the District provided a list of requirements that the IEE assessor must follow and explained that the District would only fund up to $2,250 for the assessment. 123. Because of concerns about Student’s safety, his parents pulled him from public school shortly after that meeting, on approximately March 13 or 14, 2012. Student’s mother kept Student at home for approximately a month, but she was concerned about truancy issues, so she was forced to place him in a private school. 124. On April 20, 2012, Student’s parents gave written notice to the District that they were placing Student at the Laurel School (Laurel), a private school that educates children with learning disabilities and anxiety issues such as Student’s. Laurel has very small classes and a high adult-to-pupil ratio. Student’s classes at Laurel typically consisted of fewer than 10 pupils, mostly boys. Laurel is not certified as a nonpublic school by the State of California. 125. Student started with a slow transition to Laurel at the end of his fourth grade year, attending only part of the day. The transition was difficult for him at first and he often utilized a safe place that Laurel had prepared outside of his classroom. By Student’s fifth grade year, he had adjusted to Laurel and no longer exhibited the anxiety he had at first. Student flourished in the small, structured environment at Laurel. He continued to attend Laurel at the time of the due process hearing. 126. The parties dispute whether the District’s March 2012 IEP offered Student a FAPE. Student first contends that the District committed a procedural violation of special education law by failing to send a prior written notice to Student’s parents regarding the District’s decision to deny the request of Student’s parents for a one-to-one behavioral aide for Student. As will be discussed in the Legal Conclusions below, there was no violation of the law. Student’s parents were well aware of the District’s decision to deny the one-to-one aide based on the discussion during the two March 2012 IEP meetings. 127. Student next contends that the March 2012 IEP offer did not provide sufficient services and supports, because it did not call for a one-to-one behavioral aide or provide an appropriate BSP. With respect to the BSP, Student contends that the BSP should have continued to provide a safe place located outside of Student’s classroom. 128. During the hearing, Ms. Mulholland testified regarding the District’s decision to offer a safe place inside the classroom. She first noted that Student did not like to have other pupils looking at him when he reentered the classroom after an anxiety event. She believed that having the safe place inside the classroom would avoid that problem. She also felt that, because of the concern that Student might leave the school site, it was important that he remain in the classroom where the teacher could watch him when he had an anxiety event. In her opinion, Student would be safer if his safe place was inside the classroom. She thought the District could shape Student’s behavior so that Student would seek out the safe place in the back of the classroom rather than leaving class. She also felt that Student’s use of the space outside the class was causing miscommunication between Student’s parents and District staff. 129. She believed that the District properly addressed any safety concerns by providing a safety plan in case Student went missing. In addition, the District offered a functional behavior assessment to make sure they were not missing anything. In her opinion, Student’s anxiety incidents were very mild manifestations of anxiety. Student did not exhibit any behaviors that would cause self injury or injury to others. However, she did admit that it is always a concern for a child to be anxious and miss instruction because of anxiety. 130. Mr. Keller also felt it would be appropriate to move the safe place into the classroom. In his experience, he was not familiar with a safe place for a child being placed outside a classroom; it had always been inside the classroom. He explained that other pupils used the break area at the back of the general education classroom, so if Student used it he would fit in more with his typical peers in the classroom. 131. Student’s expert Diane Provo had a very different opinion regarding the District’s proposed BSP. She believed that Student needed a small, structured environment with a one-to-one aide to make sure his BSP was implemented properly. In her opinion, Student would not be successful at Alamo after his safe place was eliminated. She could not understand why the District eliminated a support that had been working. On the day she observed Student at Alamo during a fire drill, she overheard him ask Ms. Mackins about going to his safe place, and Ms. Mackins told him it had been taken down. In her opinion, Student would not have access to the curriculum during an anxiety event. 132. Ms. Mackins, the special education teacher who had worked with Student and truly understood his needs, testified that Student did not like to have his peers see him during an anxiety event. He went outside class to calm himself. He did not want to take a break in the classroom library; he wanted to be in a place where his peers could not see him. As stated above, in her opinion the loss of Student’s safe place was a contributing factor in the escalation of his anxiety behaviors in fourth grade. Once Ms. Mackins learned that Mr. Keller had dismantled the safe place in room 216, she set up a new one in her inclusion room, room 210. However, she was only on campus two days a week, and it was unclear from the evidence how often Student accessed that alternate safe place. According to Kathy Martin, the door to room 210 was locked when no one was in the room. 133. Student’s mother also believed that Student’s safe place needed to be outside the classroom, because Student was leaving class and not using a classroom safe place. 134. Ms. Bohorquez, the other teacher who knew Student well, testified that there were times when Student would access the safe place within her classroom, but those were not times when she considered his anxiety to rise to the level of an anxiety event. She recalled a discussion about the safe place during the IEP meeting, but did not feel it was an area within her professional scope. 135. Student’s position regarding the BSP is persuasive. Given all the information the District possessed at the time of the two March 2012 IEP meetings, it was not objectively reasonable for the proposed IEP to fail to offer Student a safe place outside the classroom. The District had no reason to believe that Student would successfully access an in-class safe place during an anxiety event. The information the District possessed at the time indicated that Student would continue to flee from class and find places to hide (or try to leave campus) if not provided with an out-of-class location to calm down. 136. Although Ms. Mulholland and Mr. Keller were well qualified and are undoubtedly fine educators, their opinions lack persuasive value in this case because they did not know Student well at the time of the March 2012 IEP meetings. Ms. Mulholland had just recently joined Student’s IEP team at that time. 137. Although Mr. Keller had some general knowledge of Student’s IEP, he really did not know Student well. Prior to the time Ms. Mackins left, Mr. Keller was not Student’s case manager or special education teacher. He testified that he was not sure if he was part of Student’s IEP team as of March 12, 2012, although he attended the meeting. He did not participate in drafting the goals for that meeting. Prior to the meeting, he had not worked with Student on Student’s goals. 138. The fact that Mr. Keller dismantled Student’s safe place without speaking to Student’s parents or the IEP team, underscores his lack of knowledge about Student’s circumstances and needs. He did not even talk to Ms. Mackins about dismantling it; she learned about it from Student’s mother. In Student’s mother’s opinion, Mr. Keller did not have a working relationship with Student. Student told her that Mr. Keller had his own class and was not Student’s teacher. [Student] continues to seek a break when he knows he needs one. He will also accept a break when asked. He has become more sensitive this year to having his peers see him upset, so he prefers to take this break outside the classroom. There has been some lack of clarity re: where [Student] can take his breaks this quarter. Two times he sought out the elevator shaft room as an option. 140. The report also noted that, at times, he left the classroom without letting the teacher know where he was going. Ms. Bohorquez testified that there were times Student left the room without telling her, but there was never a time that he left when she was not aware of it. However, she could not speak to what happened when there were substitute teachers. 141. There was no dispute that, when Student suffered from an anxiety event, he was not accessing the curriculum. Dr. Johnson testified that when a child such as Student is anxious, his ability to think straight and to attend to class is greatly diminished. Ms. Mackins also believed that when Student had an anxiety event, either inside or outside the classroom, he was not accessing the curriculum. There was also no dispute that Student’s anxiety behavior impeded his learning — the revised BSP in the March 2012 IEP noted that. 142. Given the information the District had at the time of the meeting, there was every reason to believe that Student’s anxiety would keep escalating unless appropriate behavioral supports were reinstated. The District had been trying to shape Student’s behavior to use an in-class safe place for years, but had not been successful. It was not objectively reasonable for the March 2012 IEP team to assume that would suddenly happen, given all the information they had. On the other hand, the IEP team had information that Student had successfully accessed an out-of-class safe place to help him regulate in the past, for example, when there were substitute teachers in his third grade year. 143. As discussed in the Legal Conclusions below, a school district is supposed to provide special education instruction and related services as needed to enable a pupil to benefit from instruction. When a child’s behavior impedes his learning or that of others, a district must consider the use of positive behavioral interventions and supports to address that behavior. The District’s March 2012 IEP failed to offer the necessary positive behavioral interventions and/or supports. The District’s March 2012 IEP did not offer Student a FAPE. 144. Student also contends that the March 2012 IEP denied Student a FAPE because the District did not offer Student a one-to-one behavioral aide. Ms. Mulholland opined that such a support was unnecessary for Student. She explained that the District looked at the continuum of support and determined that Student only needed the one-to-one aide at the time he was having an anxiety event, so that was when they offered it. She said a one-to-one behavior aide might interfere with peer interaction, might cause prompt-dependence, and might lead the teacher to relinquish control of Student’s education to the para-educator. In her opinion, by limiting his safe place to the classroom, the District eliminated the concern about him leaving the school site. 145. Ms. Bohorquez also testified that Student did not need a one-to-one aide all day long. She explained that, even when Student had increased anxiety, there was never a time where she had to physically chase him or block him from harming himself. He was always supervised by an adult in the situations she observed. 146. Ms. Provo, on the other hand, testified that Student needed one-to-one support based on her observation of Student at Alamo during a fire drill. She explained that he needed one-to-one support to return to the classroom. If that occurred on a regular basis, Student would need one-to-one support to get back to class. 147. During her testimony, Student’s mother explained that Student’s parents had requested one-to-one assistance because they had watched Student regress both academically and behaviorally. They hoped that Kathy Martin would be the one-to-one aide because they knew she was an individual whom Student trusted. They wanted someone Student would run to, not away from, when he was having an anxiety event. Student’s mother was particularly concerned because Ms. Mackins was leaving Alamo. 148. The evidence does not support Student contention that Student required a one-to-one behavioral aide throughout his school day in March 2012 in order to receive a FAPE. Based on the information the IEP team had at the time, it was reasonable for the District to conclude that, as long as a proper BSP was in effect (with a “safe place” Student could access outside the classroom when he was anxious), Student would be able to function in class safely and productively. He had done so in the past. 150. To support this contention, Student contends that Mr. Keller and Sylvia Lam (another aide who worked at Alamo) both testified that they were not working with Student on his academics. However, Kathy Martin testified that she provided support to Student in the classroom, and Ms. Mackins testified that, as far as she knew, the services were being provided. Student failed to meet his burden in this regard. In fact, there was evidence at hearing that Student’s parents complained because they suspected that Ms. Lam was working with Student in the classroom without their knowledge. 151. As will be discussed in the Legal Conclusions below, only a material failure to implement an IEP constitutes a denial of FAPE. Even if Student missed some or all of these services during the first two months of his fourth grade year prior to the November 2011 IEP meeting, he was progressing both academically and behaviorally at that time. There was no material failure to implement the IEP. 152. Student also contends that the District was modifying Student’s curriculum in contradiction to the IEP terms. Student bases this on Ms. Bohorquez’s comments that Student was only completing 25 to 50 percent of his work.9 However, both the November 2010 IEP and the November 2011 IEP specifically made a reduced workload one of Student’s accommodations. There was no failure to implement the IEP. 153. Student next contends that Ms. Bohorquez was not aware of certain parts of Student’s IEP until a few weeks prior to the November 2011 IEP and admitted during the meeting that she was not great at implementing some of the IEP elements, such as Student’s goal to use a task checklist. To support this contention, Student’s written closing argument cites to several pages of a transcript that Student’s mother made of a recording of the IEP meeting. A review of the cited transcript pages does not show the statements that Student claims were made. However, even if such comments were made during the meeting, Student was making significant academic and behavioral progress at this time. Any minor failures by his general education teacher to implement every aspect of the IEP on every occasion did not give rise to a denial of FAPE. 154. Finally, Student contends that the District staff members were not using a written template to report on anxiety events as called for in Student’s BSP. The “template” was a list of questions that Student’s parents wished to have the District staff answer in writing when reporting to Student’s parents regarding an anxiety event. It was mentioned in Student’s BSP, but a copy of the template was not attached to the BSP. The template was originally proposed by Student’s parents prior to the statute of limitations period in this case. When they first proposed it, Student’s parents were adamant that the staff should follow the questions in the template when making a report. However, long before the operative dates at issue in the instant case, Student’s parents had ceased insisting that the District follow the template in every report. Mr. Keller did not even know what the “template” was and just assumed it referred to an email sent to Student’s parents with the standard questions (who, what, when, where, & why) answered about the incident. 155. The evidence showed that the District staff generally provided most of the information requested in the template when they sent emails to Student’s parents about anxiety events. On other occasions, they made reports verbally to Student’s mother. The District staff members testified that they provided Student’s mother with the necessary information about the events, even if they did not follow the template 100 percent of the time. 156. The evidence does not show that there was a denial of FAPE based on any failure to use the template. Student’s parents received sufficient information about Student’s activities at school to allow them to monitor his behavioral progress, even if that information was not written in the format they preferred. 157. Student also objects to the measurability of the goals in the March 2012 IEP and contends that Student had not met those goals. As for the latter contention, the goals were supposed to be met by November 2012, not March 2012. Even if Student had not met the goals, it would not prove anything wrong with the goals or the IEP. 158. The validity of the goals from the November 2011 IEP was discussed in Factual Findings 79 – 90 above. The March 2012 IEP offered some revisions and additions to the goals and objectives. The writing goal was revised to state that the paragraphs would be at least five sentences when Student was creating multiple paragraph compositions. It included a baseline which stated that Student could write three sentence paragraphs. The goal regarding use of graphic organizers was also amended to provide that Student would write paragraphs which were at least five sentences long. 160. These revised and new goals contained baselines and were measurable. There was no denial of FAPE based on the goals and objectives contained in the March 2012 IEP. 161. As discussed above in Factual Findings 48 – 52, Melanie Johnson, Ph.D., performed the IEE. Dr. Johnson began her evaluation in approximately June 2012, between Student’s fourth and fifth grade years. As part of her assessment, Dr. Johnson reviewed records, conducted interviews with Student and his parents, administered tests, including the Stanford Binet Intelligence Scales, Fifth Edition, the Wechsler Individual Achievement Tests, Third Edition and portions of the NEPSY II related to visual-spatial and visual-motor tasks, and conducted observations of Student at Laurel. Dr. Johnson conducted her testing of Student in June 2012, and the school observation in October 2012. 162. Dr. Johnson found that Student had weaknesses in, among other things, reading comprehension, inference and abstract thinking, fine motor coordination, attention, information processing, social skills/taking the perspectives of others, following complex directions, and anxiety. 165. During his fifth grade year, Student continued attending Laurel at his parents’ expense. By the fall, Student had successfully made the transition to Laurel and was attending a full day. Student’s parents separately provided private speech therapy, social skills, and psychology services. Student did not receive OT services at Laurel. 166. Student prospered in the small, structured environment provided to him at Laurel. Student’s anxiety decreased as his fifth-grade year went on. He continued to make progress in academics, although he still exhibited weaknesses in areas such as reading comprehension, inferences, and social skills. By the time of the November 2012 IEP meeting, Student was no longer leaving the classroom to seek a safe place and safety was no longer a concern of his parents. 10 There was some confusion in the evidence as to which side first proposed the OT and AT assessments. The IEP meeting notes imply that Student’s parents requested the assessments. However, one of the District’s exhibits was an October 3, 2012 proposed assessment plan apparently sent by the District to Student’s parents. No matter which side first proposed the assessments, there is no dispute that the District conducted them. 168. Theresa Tong conducted the OT assessment on behalf of the District. Ms. Tong is a licensed occupational therapist who has worked for the District as an occupational therapist for almost 30 years. She has attended numerous trainings over the years, including trainings related to sensory strategies and autism. Based on the findings and the above considerations, occupational therapy services are indicated to provide input to support [Student’s] participation in his educational environment with a focus on sensory processing needs. 170. Tammy Thompson-Cooke conducted the AT assessment. Ms. Thompson-Cooke is a speech-language pathologist who holds, among other things, a Certificate in Assistive Technology in Education. She had worked for the District as a speech-language pathologist and a specialist in assistive technology and augmentative communication devices beginning in 2004. 171. As part of her assessment, Ms. Thompson-Cooke reviewed student’s file, conducted direct observation of Student, and consulted with classroom staff and therapists. She also used the Student, Environment, Tasks, Tools framework, selected sections of the Wisconsin Assistive Technology Initiative checklist, and Stages software. After her assessment, she recommended strategies and tools for the IEP team to consider, including organizational tools and strategies for scaffolding writing and the literary process, visual supports such as photos, modeling, schedules and planners, and tools to reduce anxiety, including a viewable daily schedule, personal planner, checklists, and similar items. 172. Student’s IEP team met again on January 23, 2013. The IEP offered by the District contained numerous accommodations and modifications, including many recommended by Dr. Johnson. For example, one of the accommodations proposed by Dr. Johnson stated: “consider reducing the size of assignments for [Student], if it appears that he cannot finish the work in the same amount of time as other students.” Some of the accommodations included technologies such as the use of a computer keyboard, laptop and noise reducing headphones. The accommodations also called for consultation between the occupational therapist, speech language pathologist and classroom teacher. 173. The services offered in the January 2013 IEP included 390 minutes a week of specialized academic instruction to be provided as follows: 150 minutes per week in the general education setting to address reading skills, 150 minutes per week to address writing skills, and three 30-minute sessions per week to address math skills. The IEP called for 30 minutes a month of OT services to be provided in the regular classroom and 30 minutes a month of OT consultation, and 60 minutes per week of speech language therapy, to be provided in one group session of 30 minutes and one individual session of 30 minutes weekly, as well as 30 minutes per month of consultation. The IEP also offered extended school year services during the summer. The District did not believe that Student required AT services at that time. To address the parent concern regarding home and school communication, the District offers: a) A daily home school log; b) A one hour long monthly team meeting with the special education teacher, the general education teacher and the parents. To support the transition to Sherman elementary, the District offers: a) A parent visit with [Student] to Sherman to meet staff; b) Pictures to be taken during the visit so that a social story could be made; and c) A 30 day interim IEP to review the transition and to amend the IEP as appropriate. 177. The IEP contained goals in the areas of reading comprehension, listening and speaking, writing independently using a graphic organizer, writing and copying, math word problems, task completion, social pragmatics, perspective taking, articulation, and pronunciation. 178. Because the IEP would extend from the time of the January 2013 meeting into the start of Student’s sixth grade year when Student would begin attending middle school, the IEP also discussed the middle school transition. 179. In the District, unlike other school districts, pupils do not automatically attend the middle school that is closest to their residence. Instead, parents must submit an application form many months prior to the start of the middle school year requesting three choices of middle school. The District then assigns the pupil to a middle school based on the parents’ requests, availability, and other factors, such as distance from the family residence and whether other siblings attend that middle school. However, the District employees who testified at the hearing explained that an IEP team could place a pupil at a particular middle school, no matter what the results of the selection process might be. 180. During the January 2013 IEP meeting, the District explained the application process to Student’s parents and provided them with an application form. The District staff at the IEP meeting explained to Student’s parents that any of the District middle schools would have sufficient programs, services, and accommodations to meet Student’s needs so they were free to request any middle school they preferred. 181. There was a great deal of testimony and evidence during the hearing about this middle school selection process and whether Student’s parents participated in this process. There was testimony that Student’s parents did not submit the paperwork for the selection process and testimony that they were given the paperwork too close to the submission deadline to visit any middle schools and make a choice. There was also testimony that different middle schools were proposed in various District documents between the January 2013 IEP meeting and the beginning of the following school year, causing confusion to Student’s parents about what was actually proposed. 182. However, these disputes are distractions from the real issue regarding the middle school placement. The evidence was clear that the name of a particular middle school was not critical to the District’s offer. The IEP team could meet to decide which particular middle school Student would attend, no matter what the result of the selection process might be. The evidence indicated that Student’s parents would not have accepted the District’s offer, no matter which middle school was named in that offer. Therefore, it is not necessary for this decision to examine whether Student’s parents were given sufficient opportunity to submit their selection paperwork, whether they in fact submitted that paperwork, and whether the District’s process became confusing because no paperwork was submitted. 183. The key issue for this case is not whether one particular school was named over another. Instead, the key issue is whether the IEP offered the proper services and supports to enable Student to gain educational benefit at whichever middle school the IEP team ultimately chose. 184. On February 28, 2013, Student’s parents sent their response to the District’s IEP offer. They agreed with the recommendation for eligibility and the goals in the proposed IEP. They did not agree with the offer of placement and services, and they requested that additional goals be added to the IEP. 185. On May 1, 2013, Student filed the instant due process action. c. A 30 day interim IEP to be held on or before 09/13/13 to review the transition and to amend the IEP, as appropriate. 188. On June 3, 2013, Student’s parents rejected the May 31, 2013 IEP offer. Student continued to attend school at Laurel up to and including the time of the hearing. 189. Student raises several challenges to the District’s January 2013 and May 2013 IEP offers. The first involves the offered placement. Student contends that Student’s success at Laurel shows that Student requires a small, structured classroom in order to avoid anxiety and gain academic success. 190. The experts for the District and Student differed sharply about the appropriate placement for Student. Ms. Provo testified that Student needed a small, structured placement such as Laurel, with services to address his sensory needs. In her opinion, given a child with Student’s needs, the typical pupils in a general education setting could become more like caretakers than peers. His real peers were the pupils at Laurel who had needs like his own. Because he could have peers with his own interests there, she believed it could be a less restrictive setting than the public school. She also testified that she could not know whether Student could successfully return to a public school until she saw what placement and services were offered. 191. Ms. Johnson believed that the greatest challenge for Student in the general education setting would be the size of the class, the distractions, and his difficulties with auditory working memory. In her opinion, it would be difficult for Student to be in a general education setting. 192. Ms. Mulholland, on the other hand, testified that nothing in Student’s profile warranted placement in a restrictive setting such as Laurel. Student had been successful in the general education setting, and could be successful there in the future. 193. Ms. Bohorquez felt that Student benefited in her general education inclusion classroom. She expressed concern about Student’s lack of contact with typical peers at Laurel. She believed that Student benefited in her class from an ability to build community with his peers and practice communication skills with his peers. Ms. Lance also believed that Student benefited from his placement at Alamo and made progress there. 194. As will be discussed in the Legal Conclusions below, if a pupil can gain educational benefit in a general education classroom with typical peers, a school district is not permitted to move that pupil to a restrictive, special education setting. The evidence in the instant case showed that Student, if provided with proper supports and services, could gain educational benefit in a general education inclusion environment. Under those circumstances, the District witnesses were correct that the general education inclusion setting was the least restrictive environment (LRE) for Student. While Ms. Provo may be right that Student could gain additional benefit in a setting such as Laurel, the law is clear regarding a school district’s obligations. A parent can choose to pay for a private, restrictive setting at his or her own expense, but a public school district does not have that option. It must place a child with his typical peers to the greatest extent appropriate for that child. 195. There was no denial of FAPE based on the District’s offer of a public school inclusion classroom in either the January 2013 IEP or the May 31, 2013 addendum IEP. Student could gain educational benefit in a public school setting if provided with appropriate supports and services. The real question is whether the two IEP’s contained the necessary supports and services. 196. Student contends that the January 2013 IEP offer was inappropriate because it did not contain a BSP, OT or AT services. However, as stated above in Factual Finding 173, the District’s offer contained OT services as recommended by Ms. Tong. Student brought in no OT expert to challenge Ms. Tong’s testimony. 197. Ms. Thompson-Cooke testified that Student, if he returned to public school, would not need any AT specialized supports or equipment beyond what a highly qualified teacher could provide. Once again, Student brought in no AT expert testimony to challenge her opinion. 198. The more difficult question involves the lack of a BSP in the January 2013 IEP. Ms. Provo testified that the District’s offer did not contain sufficient supports and services to address Student’s behavioral or sensory needs. 199. The District witnesses who testified at hearing agreed with the position of the IEP team that Student did not need a BSP at Laurel at the time of the IEP meeting, so the January and May IEP’s did not have to include one. 200. The problem with their opinions, as Ms. Provo pointed out, is that the District was proposing to bring Student back to a public school setting, not to keep him at Laurel. The services and supports in the IEP should have been designed to meet his needs in that public school setting. 201. District witness Denise Olivera testified regarding the January 2013 IEP offer. Ms. Olivera is a Special Education Content Specialist for the District. In the past, she has worked as, among other things, a special education teacher in a nonpublic school setting and as a resource specialist. She attended Student’s November 2012 and January 2013 IEP meetings. 202. She testified that Student did not need a BSP at the time of the January 2013 IEP because he was not exhibiting behaviors at Laurel that required a BSP. She admitted that normally the District would be pro-active to put supports in place given Student’s previous behaviors. However, in this case the District wanted to see if Student’s parents would agree to the offer. Then they would discuss a BSP or goals. 203. In her opinion, it would not be appropriate to conduct a functional behavior assessment (FBA) while Student was at Laurel. He needed to come back to a District school first so the FBA could address any behaviors he was exhibiting in the public school setting. 204. Ms. Mulholland testified that, based on what she saw at Laurel, she believed that Student could work through his anxieties and no longer needed a BSP. She said they could only draft a BSP based on measurable and observable behavior in a particular setting. She admitted that she could not account for why Student’s anxiety went away at Laurel, because the District did not have enough information. She opined that, given Student’s profile and history, he would always manifest atypical responses to life experiences; it was not the job of the IEP team to guess what those might be if he came back to a public school. In her opinion, they needed to have him in the public school environment to see what would happen behaviorally. Then the IEP team could react appropriately. 205. With respect to the January 2013 IEP, the testimony of Ms. Provo is more persuasive than that of the District’s experts. While the District witnesses were correct that a BSP must be developed in the setting where a child is exhibiting the problem behaviors, this was not a case where the District had no information about how Student would act in a public school setting. The District had seen Student’s history of anxiety in the general education classroom. They were also well aware that transitions caused him great anxiety – even the gradual transition to Laurel had caused him distress. 206. Under those circumstances, it was not objectively reasonable as of January 2013 to offer Student an IEP with no BSP whatsoever. Certainly that BSP could have been modified once Student settled back into the public school setting, but there should have been some type of plan. At the very least, there should have been some type of behavior support (such as the one-to-one aide that was later offered) to help transition him during his initial return to public school until formal behavior services could be put in place. In making the January 2013 IEP offer, the District ignored Student’s history and the findings of its own prior assessments. An IEP which expected Student to immediately transition to a new public school without any form of BSP or other behavior support was not reasonably calculated to provide Student with educational benefit. 207. The May 31, 2013 addendum IEP, on the other hand, offered Student additional behavior support – a one-to-one aide for the first 30 days of his time in middle school, along with the promise of an IEP meeting within that time to address his middle school needs. 208. In Ms. Provo’s opinion, 30 days of one-to-one support would not be enough, She felt that, without a behavior support plan or behavior goals, the one-to-one aide would not know how to meet Student’s needs. 209. Lisa Miller, a supervisor for the District in the Special Education Department, on the other hand, testified that the transition services offered in the May 31, 2013 IEP were appropriate to support Student’s transition to middle school. Ms. Miller is a licensed educational psychologist and holds administrative and school psychology credentials. As part of her work for the District, she supervises school psychologists and behavior specialists. She has completed approximately 900 to 1000 psychological evaluations during her career and is certified as a BICM. She has attended multiple trainings involving autistic children and their needs. 210. She explained that the services and supports would be reviewed after 30 days to see how Student was doing. In her opinion, she had no doubts that the District’s proposed IEP could be implemented at Francisco Middle School. 211. With respect to the May 2013 IEP, Ms. Miller’s testimony is more persuasive. The addition of the one-to-one aide would provide Student with the support he needed while the IEP team worked to determine Student’s behavioral reaction to the new environment. If Student continued to require the aide support at that time, it could be continued. Otherwise, other services and supports could be put in place to support Student in his new environment. 212. Hal Hensler, the Head of School at Laurel, testified regarding the program at Laurel and the money that Student’s parents paid as tuition for Student to attend Laurel. He explained that Laurel pro-rated the tuition cost for the April 2012 – June 2012 time that Student attended in his fourth grade year. Student’s parents paid $4,299.00 during that time. 213. Laurel normally requires the parents of a child to contract in April prior to the new school year to pay the tuition for the following year, even if they are paying in monthly installments. Mr. Hensler explained that Laurel is a small school and requires parents to pay for the entire school year even if a child leaves during that year. 214. Student’s father also testified regarding the amounts Student’s parents paid to Laurel and submitted invoices to support his testimony. Student’s parents paid $24,162.00 for Student to attend Laurel in his fifth grade year, the 2012-2013 school year. 215. Student’s parents contracted to pay the annual tuition for the 2013-2014 school year, Student’s sixth grade year, in April 2013. They had paid $2,975.00 on April 8, 2013, $12,375 on July 11, 2013, and will be required to pay an additional $12,375 for the remainder of the school year. Student’s parents are seeking reimbursement for all the money paid to Laurel as a remedy in this case. The total amount Student’s parents had paid to Laurel for tuition at the time of the hearing, not counting money still owed, was $43,811.00. 11 Some of the documentation in evidence showed that an additional ten cents was paid by Student’s parents, but that appeared to be a clerical error. 217. The evidence supports a finding that Laurel was providing Student with appropriate education. Ms. Bohorquez visited the school shortly before the hearing and described how much the Laurel teacher’s strategies and methodologies were like her own. The other District witnesses who observed Student at Laurel also testified positively regarding the educational services he received there. 1. The party filing a due process case has the burden of proof. (Schaffer v. Weast (2005) 546 U.S. 49 [126 S.Ct. 528].) In the instant case, Student has the burden of proof. There is a two year statute of limitations for special education cases. (20 U.S.C. § 1415(f)(3)(C); Ed. Code, §56505, subd. (l).) Because Student filed this action on May 1, 2013, the time period at issue in this case began on May 1, 2011. Did the District Fail to Assess Student Appropriately in All Areas of Unique Need, Including Assistive Technology and Academics? 9. In the instant case, Student does not contend that the District failed to comply with the statutory requirements for an assessment. Instead, Student contends that the assessments were not comprehensive because the District did not conduct OT and AT assessments, did not conduct a thorough academic assessment, and did not conduct a thorough psycho-educational assessment. 10. As set forth in Factual Findings 32 – 66 above, Student’s contentions are not well taken. The purpose of a reassessment is to determine Student’s ongoing eligibility for special education, present levels of performance and educational needs. In the instant case, Student’s eligibility, present levels and educational needs were well known to the District assessors. The District’s assessors did not need additional testing or rating scales in order to make that determination. Information from Student’s parents was obtained through the rating scales administered to them. The District did not have sufficient reason, as of November 2011, to suspect that OT or AT were areas of need for Student. 11. Student did not meet his burden to show that the District’s November 2011 triennial assessment failed to assess Student in all areas of suspected disability. Instead, the evidence showed that the District assessment was thorough and comprehensive. There was no denial of FAPE in this regard. Did the District Fail to Assess Student Appropriately in Preparation for his Triennial IEP Meeting in November 2011? 12. For the reasons stated above in Factual Findings 32 – 66 and Legal Conclusions 7 – 11, the District’s triennial assessment was comprehensive, thorough, and addressed all areas of suspected disability for Student. Student did not meet his burden to show a denial of FAPE in this regard. Did the District Deny Student a FAPE by Failing to Offer Student Appropriate Related Services to Address his Unique Behavior Needs, Including One-to-One Behavior Support, and an Appropriate BSP? 15. As set forth in Factual Findings 1 – 143 above, Student’s anxiety impeded his learning. His IEP’s recognized that. The teachers who knew Student testified that when he was experiencing an anxiety event, he was not accessing the general education curriculum. His rate of progress also reflected that. During the first semester of his fourth grade year, when he had few anxiety events, his academic performance was very good. During his second semester, when he was anxious about substitute teachers and his safe place had been taken away, his academic performance suffered and he exhibited anxiety-related behaviors at home, such as wetting his bed. He missed more and more time in class as the semester continued and his anxiety events grew more numerous. By February, he felt the need to flee from class and huddle in the corner of an elevator door because of his anxiety. 16. The evidence also showed that, when Student had an appropriate BSP that was fully implemented, he could gain educational benefit in the general education inclusion setting. However, a key component of his BSP was the ability to leave class to calm down when he was anxious. This became particularly important in the fourth grade when he began to be sensitive about being seen by his peers during an anxiety event. Ms. Mackins, the District’s own inclusion teacher, recognized this. Her testimony was highly persuasive on this issue. She was the special education teacher who knew Student the best as of the time of his March 2012 IEP. She had worked closely with him over the years and he trusted her. She had helped Student’s mother set up his safe place in his third grade year. 17. As set forth in Factual Findings 107 – 143 above, the District’s March 2012 IEP did not contain an appropriate BSP. It contained no provision for Student to leave class during an anxiety event. It was not objectively reasonable based on the information the District possessed during the March 2012 IEP meeting for the District to conclude it could mold Student’s behavior to seek out a safe place within the classroom. They had not been able to do that despite goals and a BSP in the past. If anything, the growing sensitivity that Student had regarding his peers seeing him would make it more likely he would flee the room in the future. Without an out-of-class safe place, he could easily have ended up huddled next to the elevator again, or he might even have carried out his threat to leave campus. 18. The District’s solution of making an announcement over the loud speaker if he was missing more than five minutes would hardly help Student’s anxiety. Indeed, given Student’s sensitivity about peers, one must wonder if such an announcement might make him even more reluctant to return to class. 19. However, as set forth in Factual Findings 144 – 148 above, if a proper BSP was set up and implemented, Student did not need one-to-one behavior support except during an anxiety event. The District’s IEP properly called for one-to-one support under those circumstances. 20. Student met his burden of proving that the March 2012 IEP did not contain a sufficient BSP to meet his needs. The District’s March 2012 IEP denied Student a FAPE. 21. As set forth in Factual Findings 161 – 211 above, Student also met his burden to prove that the denial of FAPE continued through the following school year. The District’s proposed November 2012/January 2013 IEP did not offer Student a FAPE because it lacked appropriate behavior support services for Student. 22. Although the District was planning to transition Student back to public school, the District offered Student no BSP plan. The District’s IEP team knew about Student’s history of anxiety in the general education setting and his problem with transitions and change. It was not objectively reasonable for the District to assume that Student’s lack of anxiety in a very small, highly structured, special education classroom at Laurel meant that his need for behavior support in a public school classroom no longer existed. While the District witnesses were correct that a final BSP would have to be crafted once the IEP team saw how Student reacted in his public school placement, the District should have provided some type of BSP or behavioral service such as a one-to-one aide to assist with the transition. 23. The November 2012/January 2013 IEP failed to offer Student appropriate behavior support services and therefore denied Student a FAPE. 24. However, as set forth in Factual Findings 186 – 211 above, the May 31, 2013 IEP offered Student sufficient behavioral support services. The one-to-one aide offered for 30 days would enable Student to transition to the public school setting and allow the IEP team to determine what behavioral supports Student needed in his new placement. While Ms. Provo may have been correct that 30 days of aide support would not have been sufficient, the District’s offer called for the IEP team to meet again prior to the end of that aide support. The team could have decided to extend that support or provide other supports as appropriate. 25. Student met his burden of proving that the District denied him a FAPE between March 2012 and May 31, 2013. The remedy for that denial will be discussed below. Did the District Deny Student a FAPE by Failing to Provide Student ’ s Parents with Prior Written Notice of District ’ s Refusal to Provide One-to-One Behavior Support as Requested by Student ’ s Parents in March 2012? 27. As set forth in Factual Finding 126, above, the issue of one-to-one academic and behavioral support was addressed by the IEP team during the March meetings. Student’s parents were well aware of what the District was offering and why. Just because they disagreed with the final decision by the District does not mean they did not receive proper notice of it. 28. Further, even if the District had committed a procedural violation with respect to prior written notice, that procedural violation did not result in a substantive denial of FAPE. Student’s parents were well aware that the District had denied their request for a one-to-one behavioral aide. The lack of a prior written notice letter did not impede Student’s right to a free appropriate public education, significantly impede the opportunity of Student’s parents to participate in the process, or cause Student a deprivation of education benefits. (See Ed. Code, § 56505, subd. (f)(2).) There was no substantive denial of FAPE. Did the District Deny Student a FAPE by Failing to Document Student ’ s Present Levels of Performance in the November 8, 2011 and March 12, 2012 IEPs? 30. As set forth in Factual Findings 77 – 84 and 157 – 160 above, the November 2011 and March 2012 IEP’s properly included present levels of performance for Student. Student failed to meet his burden to show otherwise. Did the District Deny Student a FAPE by Failing to Draft Appropriate and Measurable Goals to Address All of Student ’ s Unique Needs During 2010-2011 and 2011-2012 School Years? Discussion: Section 300.320(a)(2)(i), consistent with section 614(d)(1)(A)(i)(II) of the Act, requires the IEP to include measurable annual goals. Further, § 300.320(a)(3)(i), consistent with section 614(d)(1)(A)(i)(III) of the Act, requires the IEP to include a statement of how the child’s progress toward meeting the annual goals will be measured. The Act does not require goals to be written for each specific discipline or to have outcomes and measures on a specific assessment tool. Furthermore, to the extent that the commenters are requesting that we mandate that IEPs include specific content not in section 614(d)(1)(A)(i) of the Act, under section 614(d)(1)(A)(ii)(I), we cannot interpret section 614 to require that additional content. IEPs may include more than the minimum content, if the IEP team determines that additional content is appropriate. 32. As set forth in Factual Findings 25, 76 – 90, and 157 – 160 above, Student did not meet his burden of showing the goals were inadequate. The goals in the November 2010 IEP were developed prior to the start of the two-year statute of limitations period (20 U.S.C. § 1415(f)(3)(C); Ed. Code, §56505, subd. (l)), and therefore are not at issue in this case. With respect to the November 2011 goals, while the District’s computer system for generating IEP’s was not as clear as the later system the District adopted, the District made up for that by including information regarding baselines within the text of the goals. The District witnesses were persuasive that the changing baselines for the goals showed Student’s progress, even for the goals that seemed to be the same between the November 2010 and November 2011 IEP. Did the District Deny Student a FAPE by Failing to Offer Student an Appropriate Placement in the LRE? (a) Special classes that serve pupils with similar and more intensive educational needs shall be available. The special classes may enroll pupils only when the nature or severity of the disability of the individual with exceptional needs is such that education in the regular classes with the use of supplementary aids and services, including curriculum modification and behavioral support, cannot be achieved satisfactorily. These requirements also apply to separate schooling, or other removal of individuals with exceptional needs from the regular educational environment. 36. In light of this preference for the LRE, and in order to determine whether a child can be placed in a general education setting, the Ninth Circuit Court of Appeals, in Sacramento City Unified School District v. Rachel H. (1994) 14 F.3d 1398, 1404, adopted a balancing test that requires consideration of four factors: (1) the educational benefits of placement full-time in a regular class; (2) the non-academic benefits of such placement; (3) the effect the student would have on the teacher and children in the regular class; and (4) the costs of mainstreaming the student. 37. Considering the four Rachel H. factors in light of the evidence presented in the instant case, it is clear that the LRE for Student was the public school general education classroom with supports and services to address his academic and behavioral needs. 12 There was no evidence presented by either party relating to the fourth factor – the cost of mainstreaming. 39. The greatest dispute between the parties involved the second factor – the non-academic benefits of a general education placement. As set forth in Factual Findings 189 – 195, Ms. Bohorquez testified about the social and communicative benefits that Student received from daily exposure to typical peers. Ms. Mulholland explained that there was no need to place Student in a highly restrictive setting. 40. Ms. Provo, on the other hand, felt that Student would gain greater social benefit from being in a classroom with other disabled children with needs similar to Student. She indicated that those were his real peers and that typical children might become “caretakers” for Student. 41. Ms. Provo is well qualified and was sincere in expressing her beliefs, but her opinion is contrary to the Congressional intent in enacting special education laws. The point of IDEA is to get special education pupils out of special classes and back with typical peers as much as possible. If Ms. Provo believes that certain groups of pupils, such as high-functioning autistic children, do better socially when they are with other disabled peers, she needs to express her concerns to the lawmakers, not the school district. 42. A child’s parents, at their own expense, can always choose to place their child in a small, private, special education school. (See In re Carl R. (2005) 128 Cal.App.4th 1051.) A school district, however, must follow the law, and that law requires a general education setting to the greatest extent appropriate for a child. 43. Student failed to meet his burden to show that the District’s IEP denied Student a FAPE because the proposed placement was not appropriate. Instead, the evidence showed that a general education setting, with appropriate services and supports, was the LRE for Student at all times during this matter. Did the District Deny Student a FAPE by Failing to Implement Student ’ s IEP ’ s for the 2010-2011 and 2011-2012 School Years? The language [of IDEA] also counsels against making minor implementation failures actionable given that “special education and related services” need only be provided “in conformity with” the IEP. There is no statutory requirement of perfect adherence to the IEP, nor any reason rooted in the statutory text to view minor implementation failures as denials of a free appropriate public education. A material failure occurs when there is more than a minor discrepancy between the services a school provides to a disabled child and the services required by the child’s IEP. Because the parties debate whether Van Duyn’s skills and behavior improved or deteriorated during the 2001-02 school year, we clarify that the materiality standard does not require that the child suffer demonstrable educational harm in order to prevail. However, the child’s educational progress, or lack of it, may be probative of whether there has been more than a minor shortfall in the services provided. 47. As set forth in Factual Findings 4 – 28 and 149 – 156 above, any failure by the District to implement portions of the IEP’s in the instant case were not material. At the times Student alleged there was a failure to implement (third grade and the time in fourth grade prior to the November 2011 IEP), Student was doing well in school and was progressing both academically and behaviorally. Mr. Keller’s decision to dismantle the “safe place” in Room 216 did not constitute a failure to implement the IEP because the IEP never required that particular safe place. As set forth in Factual Findings 67 – 74, the IEP just stated that Student could take a break in the inclusion room. 48. Student failed to meet his burden of showing a denial of FAPE based on a failure to implement the IEP. 51. As set forth in Legal Conclusions 13 – 25 above, the District failed to offer Student a FAPE between March 2012 and May 31, 2013. Student’s parents were right to be concerned about their son’s welfare. They had already seen Student regress behaviorally and academically, in part, because of the removal of his safe place outside the classroom. The new IEP offered in March 2012 did not propose to reinstate that safe place, but instead insisted that Student use a safe place inside the classroom. Student’s anxiety events were already growing more numerous and, without appropriate interventions, could continue to spiral downward. Under those circumstances, their decision to pull Student from school and place him in a private school was warranted. 52. While Laurel might not have been the LRE for Student, even the District’s own witnesses testified positively regarding the educational strategies employed by the teachers there, and there was no dispute that Student gained educational benefit there. It certainly met the standard for a parental placement under the holding of the C.B. case, even if the school did not offer related services such as speech-language and OT. 53. Student’s parents are entitled to be reimbursed for the tuition they paid for Student to attend Laurel during his fourth and fifth grade years. The real question is whether they are entitled to reimbursement for part or all of his sixth grade year (the current school year). The District offered Student a FAPE in the May 31, 2013 IEP, so normally that would cut off any reimbursement. 54. However, as set forth in Factual Findings 212 – 217, Mr. Hensler testified that parents who want their children to attend Laurel in the fall are required to contract with Laurel in April of the previous school year. As of April 2013, Student’s parents did not know that the District would make its May 31, 2013 offer, and offer one-to-one aide support. Indeed, they had filed for due process at the beginning of May, prior to that final offer by the District. When they contracted with Laurel to pay for the 2013-2014 school year, they had no reason to know that a new offer of FAPE was coming. 55. Under these circumstances, the equities weigh in favor of requiring the District to reimburse Student’s parents for at least part of the tuition for Laurel for the 2013-2014 school year. The full tuition actually paid at the time of the hearing for all three school years was $43,811.00. Balancing the equities of the case, it would be appropriate to order the District to reimburse Student’s parents for all the money already paid. 56. The more difficult question is whether to order the District to reimburse Student’s parents for the $12,375.00 not yet paid to Laurel. Technically, there is nothing at this point for the District to reimburse, because the money has not yet been paid. However, according to Mr. Hensler, Student’s parents will be obligated to pay that money, even if they return Student to a District school immediately as a result of this Decision. 57. This issue is further complicated because Laurel is not a certified nonpublic school in California. To order the District to prospectively pay the tuition may be akin to requiring the District to place Student at a noncertified private school, an action forbidden by California Education Code section 56505.2. 58. It is clear that Laurel can make arrangements with parents for payment of less than a full year’s tuition. For example, in Student’s fourth grade year, he was allowed to attend Laurel for only a few weeks, and the tuition was pro-rated. Under the circumstances, the equities do not weigh in favor of requiring the District to pay the prospective money. The District did finally offer a FAPE to Student, albeit after Student filed for due process. 59. The evidence also does not support an order requiring the District to reimburse Student’s parents for the extra cost of Dr. Johnson’s assessment. As set forth in Factual Findings 32 – 66 above, the District’s assessment was appropriate and thorough. Dr. Johnson’s findings in her IEE were very similar to those in the District’s assessment. The equities weigh against any reimbursement for that amount. 1. The District shall reimburse Student’s parents for Student’s tuition at Laurel in the amount of $43,811.00 within 60 days of the date of this Decision. 2. All of Student’s remaining claims for relief are dismissed. Pursuant to California Education Code section 56507, subdivision (d), the hearing decision must indicate the extent to which each party has prevailed on each issue heard and decided. Here Student prevailed on Issue Three and the District prevailed on the remaining issues.